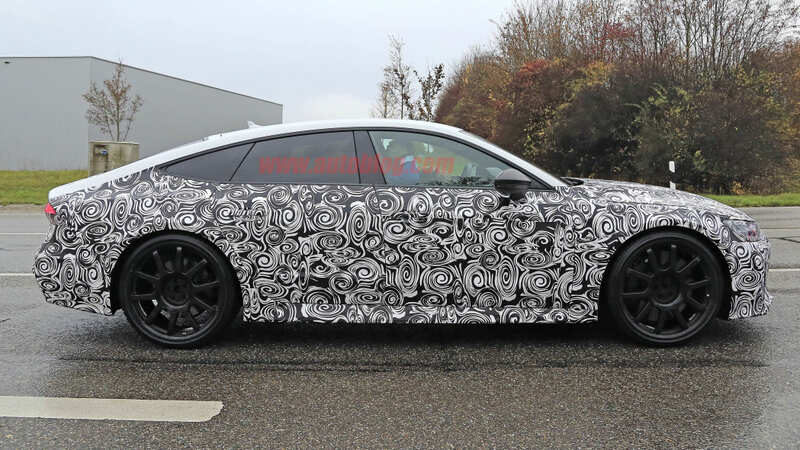 Spy shots of the 2020 Audi RS7 Sportback. 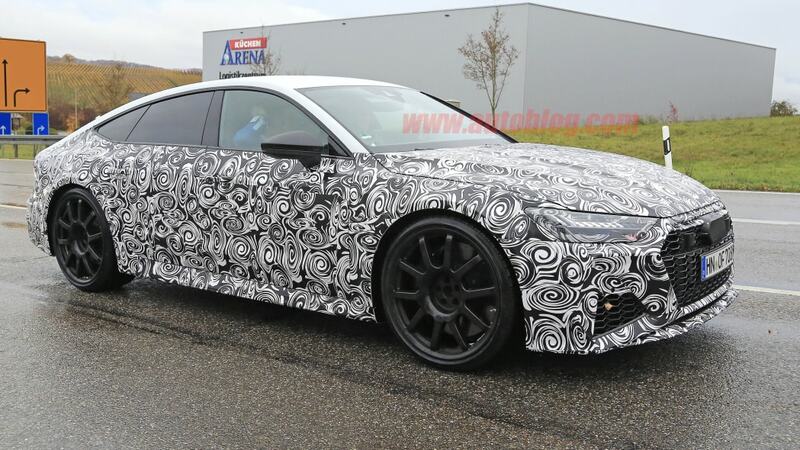 The 2020 Audi RS7 has been spied once again. Although it has a bit more camouflage than the last time, it's now wearing all its production parts. 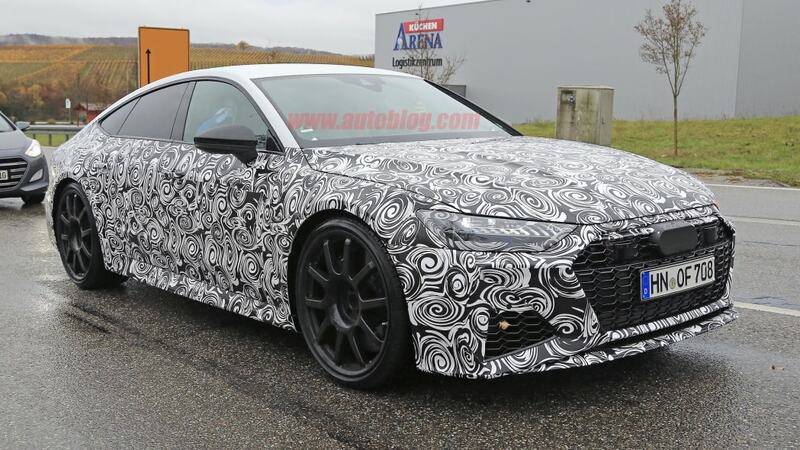 As such, this is our best look yet at the new super sedan from Audi. Up front, the slatted grille from the regular A7 is finally gone. In its place is a mesh grille made up of wide hexagons. They actually are similar in shape to the whole grille. 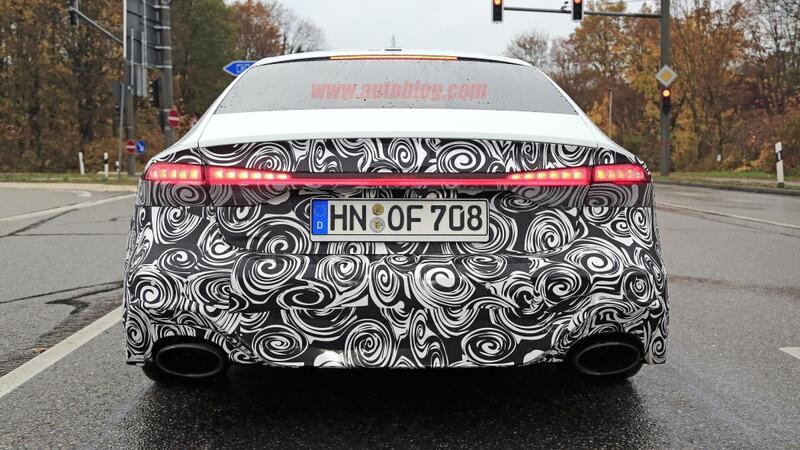 Audi heard you liked hexagons, so it put hexagons inside of a hexagon. 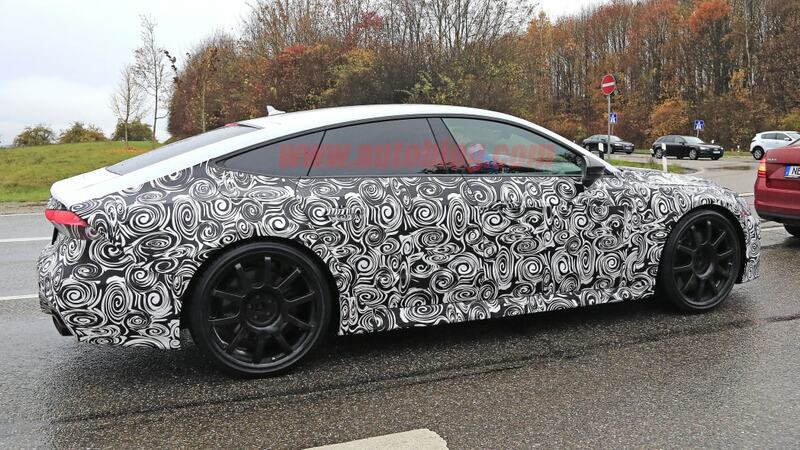 We also get another look at the triangular outboard grilles that help distinguish this car from the regular model. 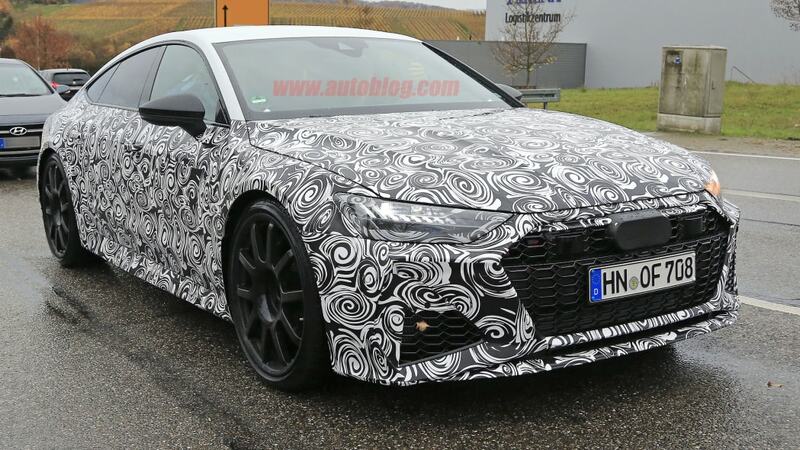 In typical Audi fashion, the rest of the car doesn't deviate much from the factory model. The fenders appear to be a bit wider, but the added width is very subtle. The side skirts are also flared outward slightly. 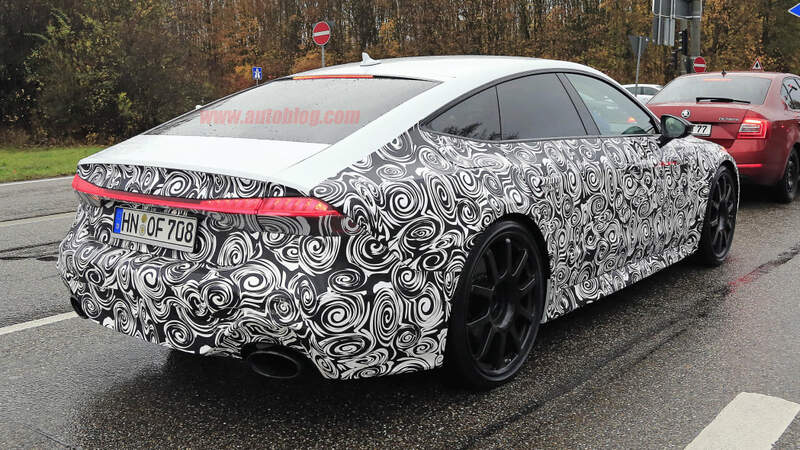 At the back, this prototype no longer has a chopped-up A7 bumper. 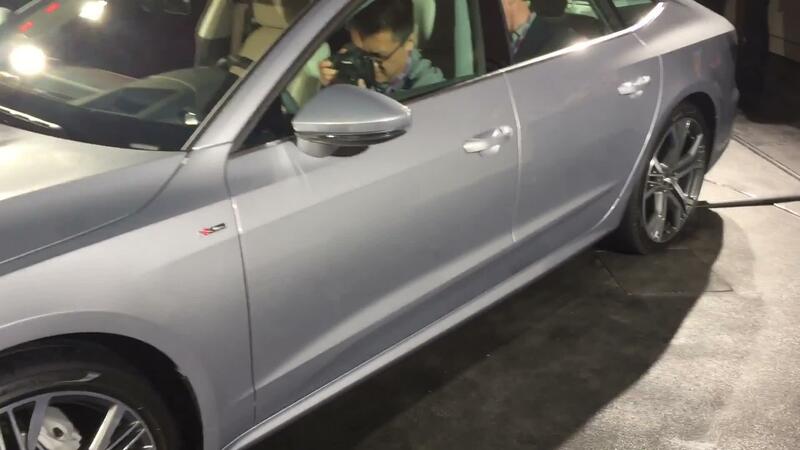 Instead it has its production unit, which seems to extend the painted section down a bit, replacing the faux diffuser area of the A7's bumper. The trademark dual oval exhaust tips the RS line is known for are also on display here. 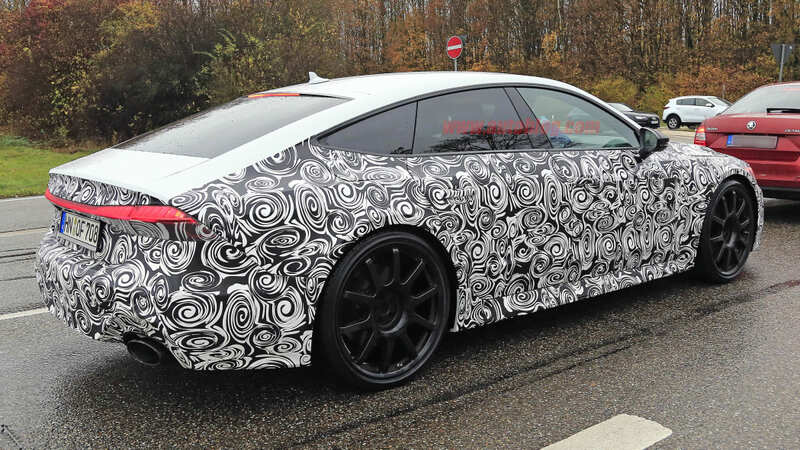 Since this car is sporting production bodywork and little camouflage, we suspect we'll be seeing the RS7 revealed very soon. It will probably go on sale sometime next year as a 2020 model. We also expect some sort of turbocharged V8 under the hood making at least the same 605 horsepower of its predecessor, if not more.